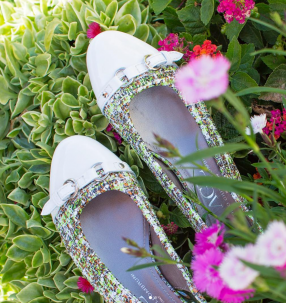 Put Some Spring in your Step at Pratt’s Shoe Salon! 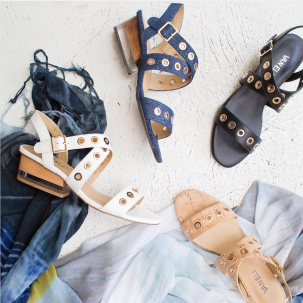 Pratt’s Shoe Salon helped start the year off on the right foot by offering the finest collection of shoes from top name designers including, Stuart Weitzman, Kate Spade, Eileen Fisher, Cole Haan, VANELi, Rebecca Minkoff, and many more. Now, with January over and spring quickly approaching, Pratt’s is also helping add some spring to your step with new colorful merchandise. Pratt’s embraces variety in fashion, offering an array of styles, colors, patterns, and textures, all with trendiness and comfort in mind. The new arrivals to hit the shoe shelves show just that. 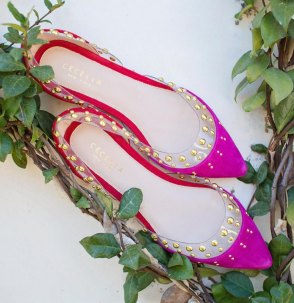 There is a shoe for every occasion, workday to weekend to night on the town and a color to match every outfit. The best part…Pratt’s makes shopping easy, not only by carrying shoes in a variety of sizes and styles, but by having top-notch associates to assist you with your every need. Pratt’s has associates readily available to check on product size and availability to ensure a successful shopping trip. Stop in and shop for spring at Pratt’s Shoe Salon, located in Suite 4206 on the south side of the beautiful Village Shops on Venetian Bay! For more information, call Pratt’s Shoe Salon at 239-262-6342.